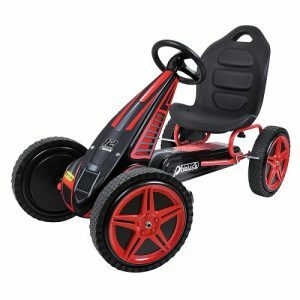 Go karts are a very popular product for both children and adults. 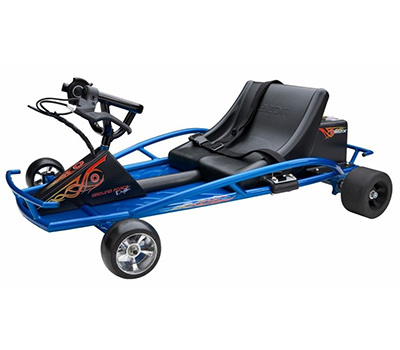 Available in a broad range of styles, it can be difficult finding the right go kart for your needs. In our article, we’re going to be reviewing some of the best go karts available based on popularity. Each product review will focus on the main features and specifications for that particular model. Weight: 47.3 lbs. / 21 kg. 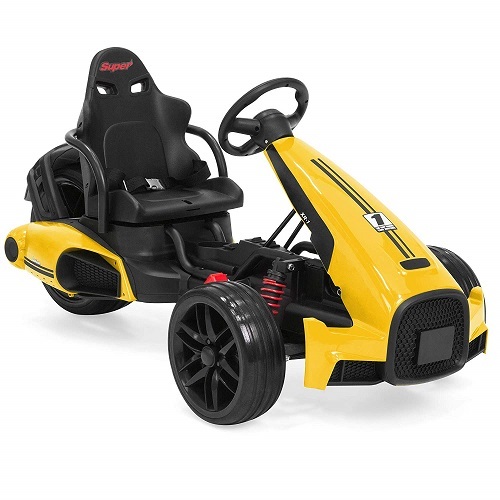 With a 12V electric motor, a foot pedal accelerator, and buttons to adjust the speed from 1.5 mph to 2.8 mph, this Best Choice Products electric go kart is as realistic as it can get. It also has a real horn, a cupholder, and a push-to-start button. This cart also offers a surprisingly smooth ride thanks to its spring suspension system. The kart is recommended for kids aged 3 and up. 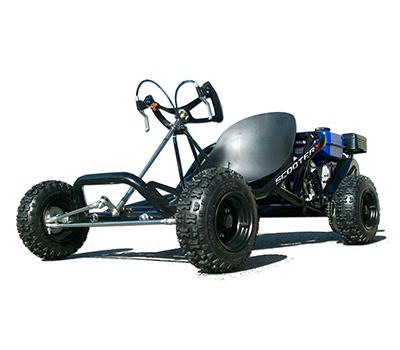 The Powersportsgalaxy gas-powered off-road go kart features a 110cc engine with reverse that can hit 24 mph. It is designed for kids aged 3 and youths up to 13 years old as it comes with extra safety measures for kids, like a speed limiter and a kill switch. The start is fully electric and transmission fully automatic. The go kart comes 80% assembled. You’ll just have to set up the wheels, seatbelt, steering wheel, seat, gas tank and roll cage. The assembly might take some time as there is no instruction manual, but you can watch some YouTube tutorials to learn how to do it. Here’s one of them. 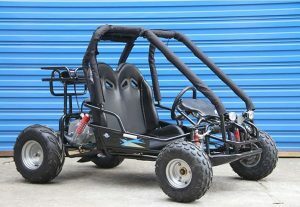 This is go kart has a solid construction, a nice finish of the metal frame, and a body built to last for years to come. It is designed for kids aged 3 to 9 and the assembly is a breeze. Since the wheels are larger (12″), the kart can reach faster speeds than other similar pedal go karts. Because the seat is adjustable it can fit several different weights. The tube frame is made of quality galvanized steel and the fairing comes with sleek graphics. Weighing in at just over 36 pounds, this is one of the lightest go karts on our list and is intended for use by individuals weighing up to 140 pounds. Powered by two 12-volt batteries and an electric engine, this go kart can go continuously for up to 40 minutes. We consider this to be one of the best electric go karts on the market. The only downside we found was the fairly long 12-hour charging time. However, this is more than offset by the lightweight design and low purchase price of this model. In addition, you can purchase safety gear like helmet and pads as part of a package deal as well. If you’re really wanting a go kart with some speed, your best bet is likely the ScooterX Sport Kart. With a top speed of 45 MPH, this is the fastest go kart on our list. This is due to the relatively powerful 6.5 HP gas engine. With its butterfly steering wheel design, this is one of the easier options to control. Each side of the steering wheel has a hydraulic handbrake. In addition, the bucket-style seating area is very comfortable for most users. These are just some of the reasons why we included the ScooterX Sport Kart on our list of best go karts. The first and most important area that you should pay careful attention to is the proper care of your engine or battery. Depending on the type of go kart you have, you will have either a gas engine or an electric battery system. With gas engines, one of the most important things to pay attention to is the type of gas you use and your oil concentrations. For many engine designs, you may have to mix oil into your gas before adding it to the fuel reservoir. When in doubt, always remember to consult the manual that came with your go kart. As for electric batteries, one of the biggest issues owners run into is overcharging. Always pay careful attention to the battery charge meter and unplug the go kart when it’s done charging. In most cases, new go kart models come with overcharge protection. However, you can severely damage your battery if this protection fails and you leave the go kart plugged in for too long. With both engine types, it’s very important to keep them clean at all times. It’s common for dirt, grime, and other debris to build up around these core components. Whenever you’re done using the go kart, always remember to wipe down these sensitive areas with a dry cloth to keep your engine and battery working its best. No matter how well you care for the engine or battery, it’s equally important to take care of the tires too. For most go karts, they use a specialized tire type that is fairly resistant to punctures and tears. However, you should always remember to visually inspect your go kart’s tires before and after each use. Even the best go karts need this type of check-up often. In the event that you notice tears or punctures, do not use the go kart again until you replace it. Always make sure to use a replacement tire that is the correct size and type. When in doubt, consult with the manufacturer to make sure you are using a compatible tire type. The four go karts we reviewed are among some of the best models currently available. With a selection that includes options for kids as well as adults, you should have no problem finding a go kart that is suitable for your needs. If there is a go kart brand that you feel should be mentioned, feel free to tell us about it in the comments area. Which do you think are the best go karts?